Hebrews Chapter 11 is often called the Hall of Faith. It chronicles a list of diverse personalities Who displayed unshakable faith amid the toughest of circumstances. They swapped fear, wrongdoing and selfishness for the confident blessings of God's love. By studying their examples, we too can move from seasonable faith to reasonable faith. 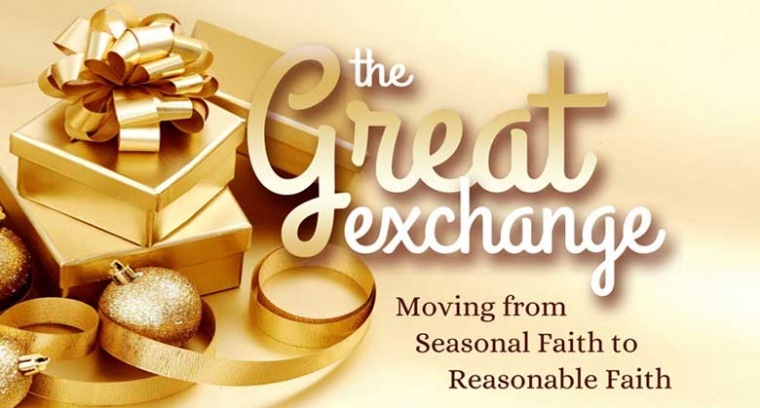 Join Horizon this holiday season for a verse-by-verse study of Hebrews 11 entitled THE GREAT EXCHANGE.